Thread: What's your favorite lizard? I wasn't quite sure where to post this, so will put it here. 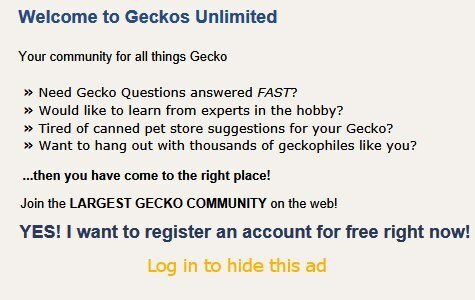 I am just wondering, for those of you who have/had different kinds of geckos/lizards, what is your favorite? In the past I've had iguanas and green anoles. Currently I have one crested gecko, one Bauer's Chameleon gecko, one gargoyle gecko, and one Western Bearded anole (aka Cuban false chameleon). So far I must say that my favorite is the Western Bearded. He is active during the day, very docile, easy to care for, doesn't mind handling, and has lots of personality! He's only about 8 months old now, but he is growing like a weed, and I am really enjoying him! Just wondering what your personal favorites are, and why. At the moment my favorites are my tiny Sphaerodactylus, probably because they're tiny. What do you feed them? Do you remove them when you clean the tank? Are they very flighty or hard to handle? Before I got TBD (the anole), I was interested in the leachies (but they were out of my price range), and the micro geckos - my interest went from large to tiny. But I wasn't sure how difficult it would be to care for them. Do they need UVB? Are they active during the day? I really like my Bauer's chameleon too; I have him in a tank on my desk at work. His name is OhGee (for Office Gecko). He moves around very slowly during the day, so I do get to see him move some. That was part of the attraction. (And he's a conversation starter at work, too!) But he's more active at night. It's really an ideal setup for him. I'll just have to find more space for him at home once I retire! My current favorite geckos are Cyrtodactylus peguensis zebraicus (Thai Ocelot Greckos). Here are a couple of the ones I've bred. Mostly I feed them well-nourished and dusted crickets. I can see why they call them Ocelot geckos! Wow, they are stunning...I had never heard of those! The males chirp loudly, but infrequently. The females sometimes peep softly. They are diurnal and need UVB which I supply. They are in planted enclosures and I don't need to clean the cage. I have had some escape and have subsequently caught some of them. They are quite easy to care for, just need tiny crickets and daily misting. Elizabeth - I've only ever heard one of my geckos make a noise, and that was my garg when I accidentally startled him. I would love to hear peeping. Aliza - I'm assuming they have a rather small tank - what kind of lighting do you use to provide the UVB? The smallest I could find was a 12" long tube light, or a canopy top for a 12" tank. Is that what you use? Also, how do you keep steady supply of tiny crickets, do you breed your own? I combine my order of other size crickets with an order of 1,000 1/3 grown crickets from Armstrong's crickets. It's easy to keep 1/3 and 1/2 growns alive for 2 months or longer. Of course they will have grown during those 8 weeks. Consider their 1/8 inch crickets. I have a 12x12x12 next to an 8x8x12 that share an 18" light with a 5.0 florescent. I also have another 8x8x12 which has the nano lighting that doesn't have UVB. In that case, I dust the crickets well with Calcium Plus and after over 2 years, the gecko is fine.